Pylea is 8 lbs already at 11 weeks, which seems to be pretty big for a girl her age, at least from reading this thread. Her parents are both show dogs but her dad is an import, and I think Nippo shibas may be slightly larger than AKC shibas. Momo is now 7.5 months old and weighs 25 pounds. I wonder how much growing he has left to do! Tang just went in for his yearly checkup and shots. At a year and a half old, he's 26.7 lbs. The vet said he wants him to stay at this weight. Last time I checked Moxy, about two months ago, he was 30lbs. He's a little overweight, but only by about a pound or two. I wouldn't worry too much about him being small, he sounds like he will be very close to standard - maybe 24-26lbs when he's full grown. Especially since your vet says that he is doing well. I tallied all of Kira's weights as a puppy but the file is at home, just to check I can update what her weight was at approximately 4-5 months later on tonight. She was pretty small until she reached about 6 months of age, she is full-size now at 19.5lbs and that is ideal for a female. Reporting back with Ehu now at 1 year and almost 5 months. He's capped out and been a steady, exact, 17.2 lbs, 19" at the withers now for what feels like 6 months. He really regulates his eating and stops when he's full. I've tried to put in all kinds of different mixes to keep it interesting- still 17.2 lbs! I guess he just is really tiny compared to what everyone else is posting. Ozzy is 8 lbs and 10 weeks. I feel like he's grown so much in the past week. Gaku is 17.6 pounds at 6.5 months. He has been this weight for a few weeks. We went to the vet last week and she thinks he's a mame... Still hoping that he'll be standard anyways! Ponyo is 22.4 pounds at 8 months. She's a great size for us and we wouldn't mind her being a bit bigger as we love larger dogs anyway. Gidget is 13.8 lbs at 16 years old. Rhett is 8 months and he's just shy of 19lb. 15.5in to withers. Thinking he'll be right on target for typical male. Hoping he gets to 23lb min. Reading everyone's posts makes me think I have a giant shiba! Thursday Fitty hit the 20 week mark and weighed in at 20.2 lbs! Everyone I know and the vet all agree he looks very healthy and I think he looks very muscular too. He may just be tall and long but I haven't gotten a measurement because he doesn't stand still too often. We got him at exactly 8 weeks and he weight exactly 7 pounds so he has been gaining about 1 pound a week consistently. If his growth doesn't slow down soon I can only imagine how big he will be by the time he's a year old! I have heard of healthy shibas being about 30 pounds full grown and I am wondering if those people found their puppies this large at that age too? 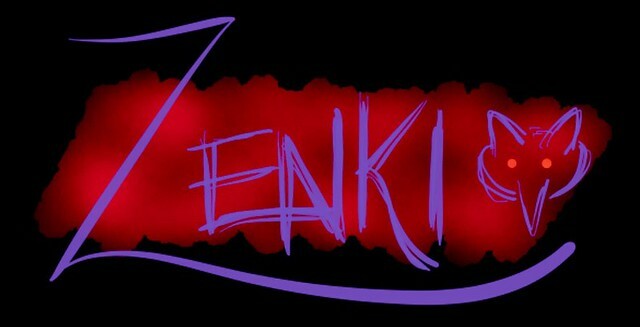 Zenki is is 10.4lbs @ 12 weeks. Not sure if that's heavy for his age. Quakey is five years old and he weighs 26 pounds. The vet says he is at his perfect weight. He has a trim and athletic build. Rusty is 6 years old and weighs 40lbs. He's around 20" at the withers. My husband doesn't think he's overweight but I think he could lose a few. But he rarely ever worries so I joke I need to worry twice as much to make up the difference! I wish I knew more about his history but the owners who surrendered him to the rescue gave little to no information outside of his rabies record and favorite dog food. Coal is just skirting 8 kilograms (17.6 pounds) and I think just a little above 35 cm (13.8 inches). He just turned 6 months old today!! ^_^ We are constantly worrying about him getting over weight. Well, my husband is. He is adamant that we will NOT have a fat pooch haha. I just think he wants to play around with programming and math lol. Zenki is now 6 months and weighs 21.4 lbs. He basically doubled his weight in 3 months. Ichabod is 23.4 lbs at 13 months. He's pretty trim, though last time I flipped him on his back to play tummy drums it seemed a little bigger than normal (might've just been the food he ate). More tests are needed. So--where exactly is the excel sheet? Oh wait, I found it! Maybe a link should be made in the opening post? It was hard to find. Ichigo is 7 months old now and she weighs 17.7 lbs. Last time I weighed Mochi, she was 13.5 lbs and she's almost 6 months. I'm sure she gained a few lbs too because she's looking a bit fuller. It's been a LONG time since your last Sachi pic! @EmpressSachi - She's bigger than Ponyo now! Her face has gotten so much lighter! Ichabod is 24.5 lbs or so at nearly 14 months. Still got a healthy wasteline, which I'm having to pay attention to since for this last batch of food I kind of deviated from my plan and I don't have an exact idea on the calories per serving. He doesn't pig out though. Maybe 16-17 in at the withers? It's hard to tell. Ichabod would prefer I keep my noisy tape measure the bell away from his withers. 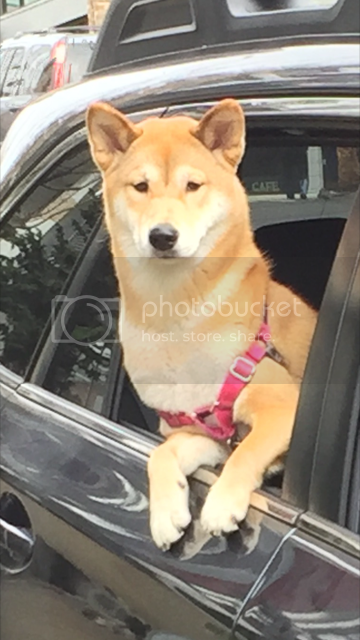 Mini-rant: I had a lady try to tell me today that this 10 lb rescue adult female Shiba is "impeccably bred" (and allegedly purebred) to the ideal weight and that when Shibas were originally imported to the US in the 80s they were that small. Supposedly breeders bred them up later so they'd have bigger litters. BS. It's not as if the heights in Nippo standards correlated to a 10 lb dog either then or now, and I said as much. I'm sure the rescued shiba momma and her pups are sweethearts, but don't lie to me to upsell, you know? Anyway, I thought of this size thread here. @jackstate maybe she was referring to mini Shibas? Although mini Shibas are a result of bad breeding practices they are still technically Shibas, right? As Japan would call them "mameshiba". Cute, but not right. @JackState - Freaking good on you for setting her straight. I've had some bs like that from people but I don't want to offend them and haven't spoken up other than trying to suggest the reality rather than calling them out. But why do I care if they're offended by the truth? Or even by me. I'm never gonna see them again. Lol like a lady told me her rescue "shiba" has the perfect mask and was exactly the type of shiba that originated in Japan, fighting alongside the samurai (at least she got the country right). Her dog looked like a lab with a spot on its head. He was like 80 lbs and she told me there are 3 different sizes of Shibu's (her pronunciation) and hers is the largest. I asked her if she knew of the other Japanese breeds but she insisted that regardless of them, the shiba still has 3 sizes, like a poodle. Toy shiba, miniature shiba, standard shiba. She told me Ozzy might be a corgi / part corgi rather than a shiba. And really all I said was like "actually I think the standard for Shibas is like between 15-25 lbs depending on their gender." BUT thats only the toy shiba or something according to her lol. I should've just set her straight. And mame shiba totally aren't a breed ha. They're just when bad breeders breed the runts to get a smaller result and sell for a markup, despite these poor dogs being more likely to have genetic disorders since they're bred only for their size, not their health, temperament, etc. Like "teacup poodles." Just someone's attempt to make a buck.. :( so even if she was referring to mame Shibas, they are not a real breed and are not the breed's standard. Just like Mr. 80 lb lab / "perfect mask" shibu haha. @lilikoi yeah I know but with the "knowledge" she was trying to preach to @jackstate, I feel like she would be one to argue that a mameshiba is a breed LOL and I totally cracked up at your lab story lolol "a lab with a spot on its head." I've had someone question me when I told them Mochi was a shiba. He was like "naw naw he gotta be a chow." It was annoying because I kept correcting him and telling him Mochi was a girl not a boy and he kept saying "no he gotta be a chow. Husky chihuahua mix?" Hahaha omg. Husky chihuahua sounds so cruel!! I did have a lady insist Ozzy was a pomsky - husky / Pomeranian, because he looked exactly like hers (her blue-bulging eyed disproportionate thing. Cute, but not very similar to Ozzy other than upright ears and medium size lol). I think even if that chick was referring to mame Shibas, she should be corrected. :)) cus it's still incorrect if she is referring to a breed that doesn't exist. Not all Shibas exactly fit the standard, and that's fine. Not all Shibas are supposed to thrive in the show ring haha. But that doesn't mean the standard is wrong just because a person has seen more small Shibas or something. xD I also once met someone with an Akita who said theirs was a shiba. I was like "your shiba looks a lot like an Akita." And they were like OH YEAH that's what he is! He's an Akita not a Shiba. :)) they thought Ozzy was just abnormally teensy hahaha. That Akita was super cute and sweet. 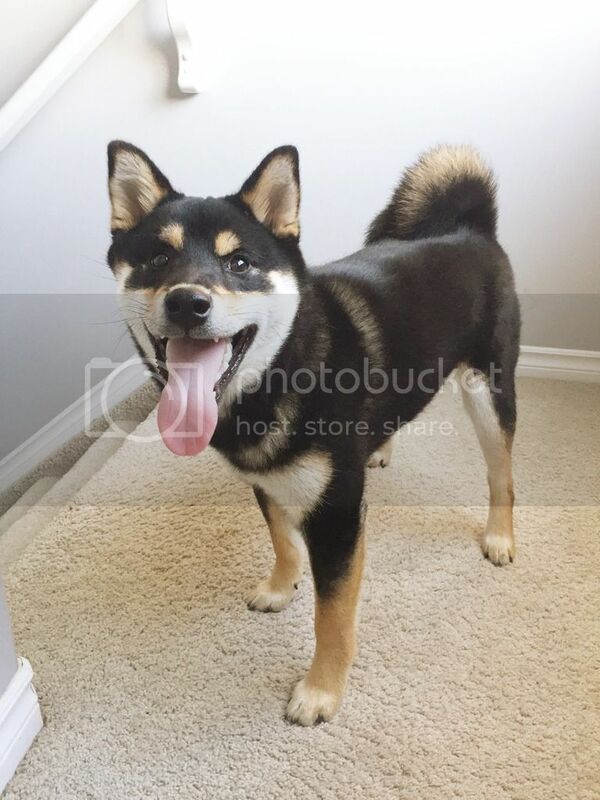 Quite recently, someone was telling me about how there are several other Japanese breeds (correct) and how most people have / are familiar with Shibas (yup), but the people who have Shibas that are above or below standard just have a different Japanese breed because they all look identical except for size (....nope). Not to mention that besides Shibas and Akitas, the other breeds are much more rare and hard to just randomly acquire without knowing. I have a lot to add to the matter, and I read an interesting thread on the Nihon Ken forums with some counterpoints to y'all's. But Sunyata might take her ruler to us for getting off topic. Got wrapped up in the mame-discussion because of something that happened when Coal was younger. We had a few people ask us if he was a mame-shiba. Now keep in mind, I am in Japan so people here know Shiba. The fact that they asked if he was mame or not indicates how small he was! I think I can confirm that small was never an intention for Japan. He is only 9.2 kilo now (so around 19 pounds) and he may barely hit the standard as it is. But mame is a huge controversy here in Japan, too. That mame thread is totes interesting. I'll keep it short and try not to get the discussion too off topic here. :)) but I think even when someone is attempting to breed "well bred" mames, it still negatively impacts their health. It's like just breeding a non diverse piece of the breed. Like if it was decided only one color of shiba would ever be bred, or only Shibas with black nails or single curled tails or something ha. You can pick the best candidates, but it's still a decreased gene pool to be working with. I like the shiba the way it is. It has such a rich history and ancestry. Inventing a new variation of the breed seems like a silly fad, even if it were done well. Anyway. Love that the person responded to you by providing no facts and just denying your evidence and refusing it. Haha... maybe I'd be brave enough to explain reality to someone misinforming people, the people who made comments to me were like some lady apraising antiques at my grandma's, a girl at a movie night with friends, a lady at the pet store etc hah. I am so not outspoken. :/ but would love to be better at it! @anjyil - Ozzy's about 20 lbs also ha! He's kinda a small little guy as far as the standard goes. But my breeder told me When I picked him up as a puppy that males with Ozzy's mom tend to stay at the small side of standard. I'll have to measure him sometime to see how tall he is these days. @Lilikoi Mame's seem to be like a lot of popular breeds. I saw cats and dogs purposely bred with dwarfism to get those short legs or smooshed face. It is sad how people throw all morals out the window for money. 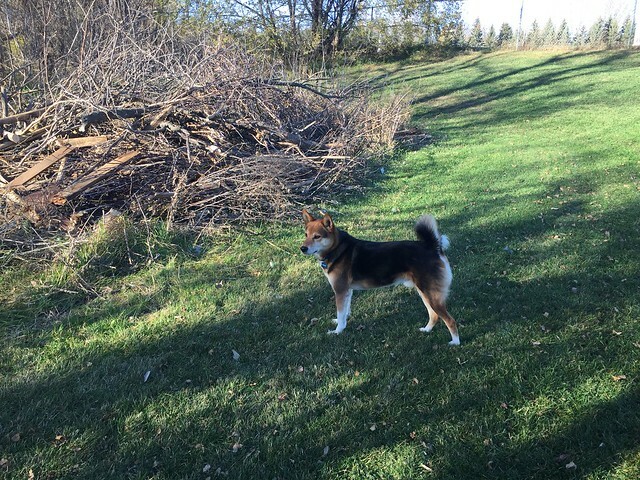 Hi, I have a weight concern about my shiba. She just turned 5 months old and she is weighted at 6kg/ 13.2 lbs. Some people told me is too small to be a standard, must be a mini or even a mix. I got pretty upset over that. I know she might be on the smaller side of the spectrum, but she looks pure to me. Dont want to get off topic, so I am not really focusing on the pureness, either way, I lover her so much! What what do you guys think of her weight situation? @jaimeisme Ah such a cutie! My boy is on the small side, or was for the longest time. Nothing wrong with being on the small side ^_^ Also, females tend to be small. My baby didn't hit 15 pounds until around five months. Now he is around 20. Around the 6-7/8 month mark, they seem to expand very quickly. If I remember right Juni was 6,5 kg when she was six months old. She later put on another kilo and is slightly above average height (I think around 40 cm) so she has been very slim. Last year or so she has finally put on more weight, she is around 9 kg which is probably a good weight but we think she is a bit chubby now since we are so used to slim-Juni. Six kilo at five months sounds normal to me. @jaimeisme yup ^_^ they grow likes weeds sometimes. Juni's is probably a better comparison since hers is female as well. 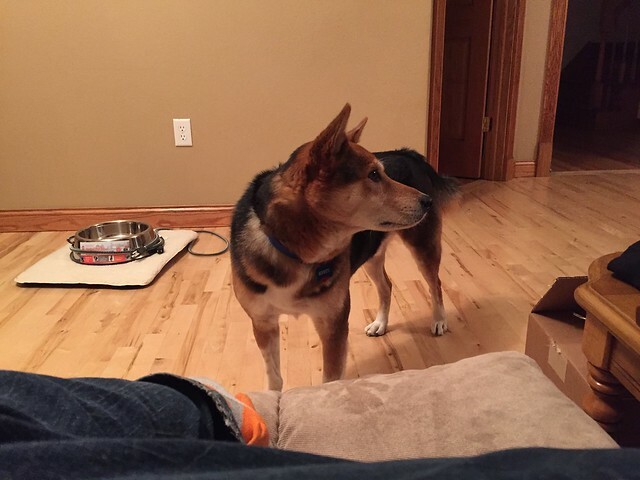 Hi, I have a weight concern about my shiba. She just turned 5 months old and she is weighted at 6kg/ 13.2 lbs. Some people told me is too small to be a standard, must be a mini or even a mix. I got pretty upset over that. I know she might be on the smaller side of the spectrum, but she looks pure to me. Whoever told you that doesn't understand either puppies or Shibas. Ichabod was ~14 lbs at 6 months and is ~25 lbs at 14 months. I wouldn't worry or get offended by that person's comment. I had the same exact worry too especially when Mochi was around 3 months because she was barely 5lbs. When she turned 5.5 months, she was only 13lbs. Today, she's almost 7 months and weighs about 15lbs. Just because a shiba isn't perfectly standard height / weight doesn't mean they're a mix ha. I think Ozzy was around 16 lbs when he was 5 months. Maybe slightly less. But now at 1 yr he's 20 lbs. Many people say that Shibas don't finish filling out completely until they're about 2 or so. Even if she's not the exact standard weight in the end, I wouldn't worry and long as she is healthy for her size. I've had plenty of people tell me that Ozzy is too small to be a shiba, too big to be a shiba, etc. There are a lot of people that just don't know as much about Shibas so they think every shiba is supposed to be exactly the same size as the one they've encountered. haha I'm glad to find a good supporting community here! @Jackstate Wow!! thats a lot of growth! :O I just have to be patient then. haha. and yea, I'm ignoring that person's comment. @Mochi920 glad to find someone who had the same worry as me before! :P I am much relieved! Mochi is such a cutie in your photo! @jaimeisme i would take people's opinion of how a shiba should look like with a grain of salt. Unless they are AKC or Nippo Judges on Shiba Inu's, it may be safe to assume that they have some misconception on shiba inus. Especially with a B&T shibas... I have come across people that know the shiba inu breed but had no idea that shibas come in the B&T color as well. Also, i believe there are more shiba inu's walking around that come from puppy mills and BYB's than responsible breeders, odds are that people's exposure to shibas are puppy mill and BYB dogs where they don't put a lot of importance on breeding HEALTHY shibas much less on how conforming the puppies are to the breed standards. Finally, our dog's health and happiness is the primary concern. like how much exercise are they getting. Are two 30min walks really enough outside time for them? I mean 1 hr out of the 24 hours in a day, is that enough to keep them happy and healthy? Whenever I see Laika I think she's a teenie tiny Pooper, but then I remember that she's actually slightly larger than the standard and couldn't be shown lol. Raijin was 8.7 lbs when he had his vet check up last week. He's on the smaller side, but as has been mentioned we're not too concerned with that. His growth has been great and he's considerably larger after one month (age now = 12 weeks). Reggie is currently 22 lbs but according to the vet needs to go back down to 20.
kiichigo is 4 months and 3 weeks old. She's weighed in at 13.5lbs last night.